It was delightful to open your email and see the painting you have. I believe the boy is my great grandfather, George Weld Hilliard, born 1840 in Brighton, Macoupin, IL to Amos Avery Hilliard and Charlotte Towne Hilliard. I have copied some information about him in our family tree for you to see. While it is difficult to tell from those early paintings just exactly who someone is, the photograph shows the same shape of face. 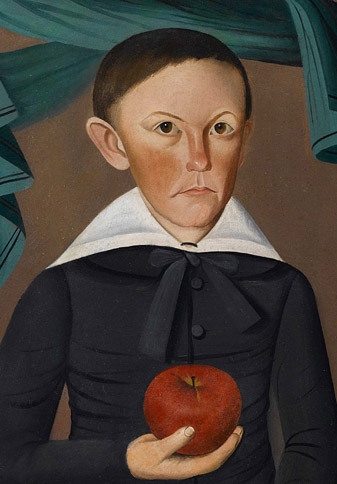 It is interesting that the boy is holding an apple because both Amos and his son, George, had a large orchard and sold apple cider pressed on their farm in Brighton. I would be interested to learn how you came into possession of the painting and whether you have any direct relationship to the family. Amos and Charlotte emigrated from Cornish, Sullivan, NH in 1832 going to Alton, IL. They moved to Brighton in 1834. I don't know where you live but I would be very interested in seeing this painting if you are anywhere near Palatine, IL where I live. Thank you for sending this information and I'll look forward to hearing from you. GEORGE WELD HILLIARD, b. 1 Nov 1840 in Brighton, Macoupin, IL, d. 7 Jul 1928 in Brighton, Macoupin, IL. Buried in Brighton Cemetery, Brighton, IL. Son of Amos Avery Hilliard and Charlotte Towne. Married Celia Adelaide Chase on 13 Apr 1864 in Macoupin, IL. CELIA ADELAIDE CHASE, b. 24 Dec 1844 in Jersey County, IL, d. 21 Apr 1939 in Brighton, Macoupin, IL. Daughter of Taylor Gilman Chase and Emily Spalding. She was a pioneer from NH. She attended Monticello Seminary in 1860 and 1861 and at the time of her death was the oldest alumna of the college. In her youth, she was a member of the Baptist Church until it suspended and then she became an active member of the Presbyterian Church until her death. After her daughter-in-law, Claribel, died, she went to St. Louis to bring back to the farm Claribel’s daughter, Marion, to be raised with her children. She is buried in Brighton Cemetery, Brighton, IL. AMOS AVERY HILLIARD was born on 20 MAY 1821 in Cornish, Sullivan Co., NH 331 and died on 1 FEB 1905 in Somerville, Suffolk Co., MA 331. Amos was raised on a farm, and obtained a good education in the common schools of his native town. He left Cornish at the age of twenty and went to Boston, where for two years he was employed as clerk in a hotel. From Boston he went to New York, and for a couple of years had the care of one of the Astors, who was a confirmed invalid, helpless, and in constant need of assistance. He first came west in 1832. He had acquired some capital in New York and Boston, and in partnership with a gentleman from the latter city he embarked in the pork-packing business at Alton. The firm shipped large quantities of pork to New Orleans, and Mr. Hilliard on one occasion accompanied the cargo down the Mississippi. The navigation of the river was not entirely free from danger, and on this trip the boat struck a snag and in a few minutes went to the bottom. A number of passengers were on board, all of whom were drowned excepting Mr. Hilliard and two others, who clung to one end of the boat, which remained for a short time above the water, till they were rescued from their perilous position by a passing steamer. Within a few minutes after they were picked up the boat disappeared altogether beneath the current of the river. The business of packing pork was comparatively a new industry in the West at that time, and the experiment proved financially unsuccessful. The business was discontinued, and he returned to New Hampshire. 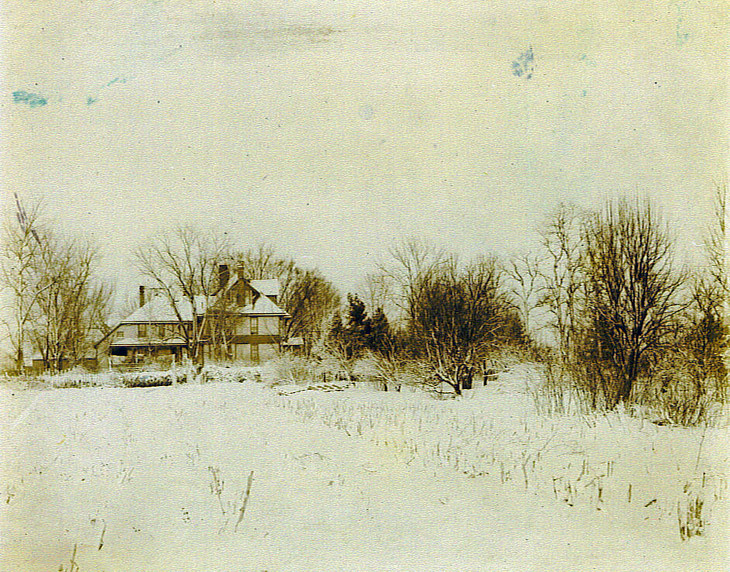 He came back to Illinois in the year of 1834, and purchased the farm in section seventeen, of the present Brighton township, on which he resided till his death. The land had been entered by Stephen Griggs, but was improved. On obtaining possession he built a house, and vigorously began the work of putting the land under cultivation. He gradually succeeded in developing it into a fine and valuable farm, and purchased additional land, so that at the time of his death he was the owner of 425 acres. His natural powers of mind were of a superior order; and he was also gifted with unusual energy and excellent business capacity. His education at school was supplemented by careful reading, and his opinions on agricultural and other subjects were of more than ordinary value. He possessed, in addition, a large degree of enterprise, and beside carrying on general farming embarked at an early date in the business of growing fruit, in which he was a pioneer in Macoupin County. As early as 1845 he began sending peaches to St. Louis daily by the morning boat from Alton. At that time this was considered a bold and unusual undertaking, but it was carried out so as to be remunerative. In later years he quit the peach-growing business, and directed his attention to the growing of early apples and the making of cider and vinegar. To the production of an excellent quality of vinegar and cider he gave special attention during the last twenty years of his life, and succeeded so well that for a number of consecutive years he was awarded premiums at the state and other fairs, where these products came in competition with those of other makers. He took an active interest in every movement for the promotion of agriculture and horticulture. He was the first president of the Brighton Township Farmers' Club, organized in JAN 1872, and for many years was a leading member of the Alton Horticultural Society. 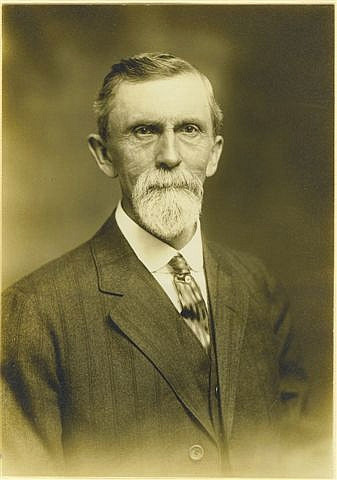 About fifteen years previous to his death he began contributing to different journals, and several articles from his pen appeared in the "New York Tribune", the "Prairie Farmer", and "Colman's Rural World" on "Fruit Growing, Hedging," and other similar subjects. His constitution was strong and vigorous, and he enjoyed good health through life till within five or six years of his death. He was public spirited; always ready to assist every undertaking which in his opinion would benefit the community at large; charitable and benevolent; and his death was lamented by a large circle of friends and acquaintances. He was first a Whig in politics and became a republican on the formation of that party. 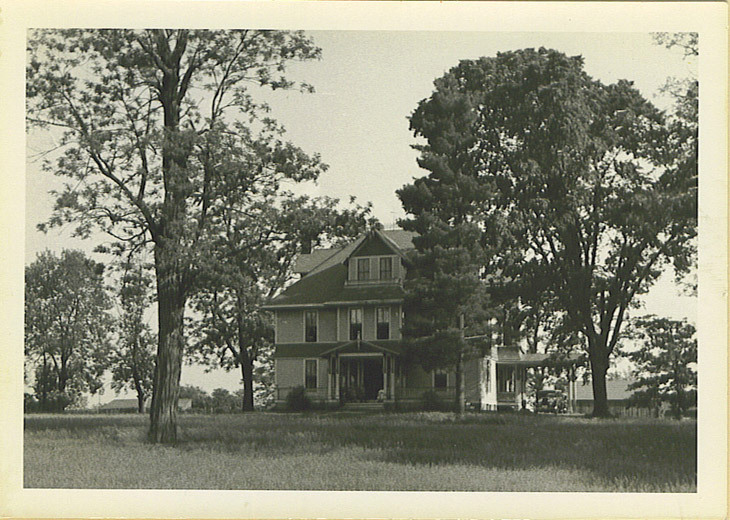 His farm was taken over by his son George W. Hilliard. I heard from my cousin in Brighton, and she has no knowledge of the painting but agrees that it must be George. There were no other Hilliards there at that time. She is from the Chase side of the family (George's mother's cousin) so didn't see the Hilliard side very often. I have written to the other surviving cousin in Seattle. Hopefully she will reply soon. She is 84 so ... who knows! I have a lot of information on the Hilliard family and photos of George's home in Brighton and his children. I don't know if the owners of the painting would be interested in that, but would be happy to share it with you or them if desired. George's home was on the road between Bunker Hill and Brighton, just before you enter the town. The remnants of it are still there although much of his property has been sold to farmers and developers. I am assuming that you do not believe George's parents, Amos and Charlotte, are one of the unidentified couples painted by Peck. George was President of the bank in Brighton as an adult, but I don't believe they have any portraits of him there, at least I didn't see any when I was there. I'll let you know when I hear from Seattle. This particular cousin's mother was raised by George and his wife with their children. What a shame she is no longer living. She probably could have answered the question for us.